The pure white flowers and bright green foliage of this miniature pineapple flower are an appealing combination. It is a plant that looks cool and fresh even on the brightest summer day. 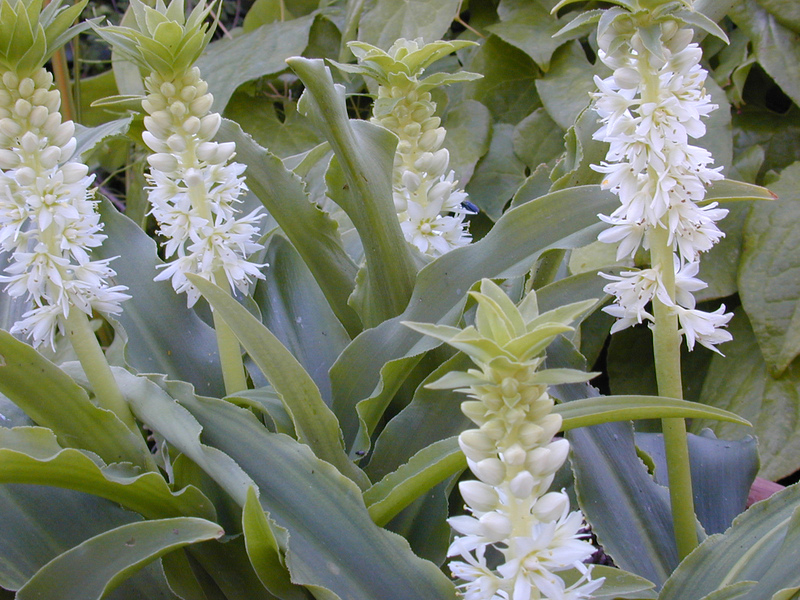 Most of the other species of Eucomis are hardy enough to survive the winter in the garden and robust enough to compete in the rough and tumble of the border. E. zambesica is far more delicate and so I grow it in terracotta pots so that I can admire its beauty close up and allow it to spend the winter tucked up in a cold greenhouse.